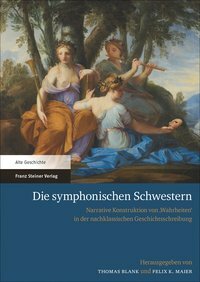 Die symphonischen Schwestern is part of a wave of scholarship investigating the claims to truth made by ancient historiography while accepting that truth is a cultural determined concept and not absolute. Its collection of 15 papers accompanied by an introduction and an epilogue demonstrates nicely both the state of the question at the moment (the volume is based on a conference held in 2015 so has come out remarkably quickly) and the breadth and fruitfulness of the approach. In 'Truth, vividness and enactive narration in ancient Greek historiography', Jonas Grethlein briefly explains the recent cognitive theory that human beings envision the world in action rather than in static images, which he has expounded (with Luuk Huitink) at greater length in JHS 2017. He then proceeds to analyse the famed vividness / enargeia of Thucydides and demonstrates how Plutarch's praise makes a lot more sense when one looks for descriptions of actions in the praised passages than if one looks for ecphrastic images. He ends with a stimulating discussion of the tension in ancient historiography between the ideal of enargeia, which sometimes entailed essentially fictional circumstantial details, and the ideal of truthfulness (most bitingly embodied in Polybius' criticism of Phylarchus, Plb. 2.56). Grethlein provocatively concludes that invented details help a reader envision, or even experience, what the past moment was really like, and therefore contain referential value despite being technically untrue. 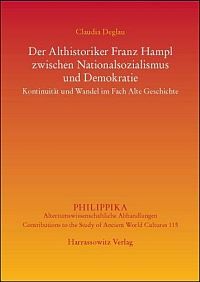 In 'Historie und Fiktion im staatsphilosophischen Auftrag. 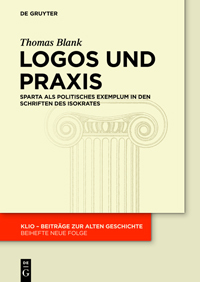 Die Kyrupädie des Xenophon', Thomas Schirren argues convincingly that Xenophon writes in a milieu of Sophistic debates, which are reflected in his works, and that he was inspired equally by Herodotus and Socrates. The Cyrupaedia takes part in philosophical debates in a way that makes it clear that it is not the plain historical truth, but aims at a higher, philosophical truth. This argument is followed by a sophisticated close reading of several episodes from the work, which professes to owe something to Levi Strauss. 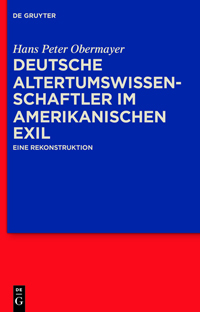 Irony, however, is not the recurring theme; rather this is the 'Fiktionalitätssignale' offered by the text, generally in the form of its addressing contemporary philosophical questions at length without regard for historical facts. Schirren even argues that a 'contract of fiction' ('Fiktionalitätskontrakt') is formed between Xenophon and his readers by Cyr. 1.6 and its final chapter. This last argument may be going a step further than the present reviewer is happy to follow, but the article is well-argued and thought-provoking. 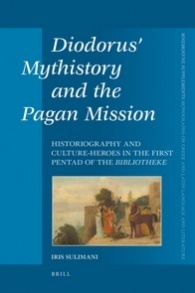 Finally, in 'Wunderlektüren: Paradoxa und die Aktivität des Lesers in Diodors Bibliotheke', Mario Baumann offers an interesting argument to the effect that Diodorus Siculus in the first pentad of his Bibliotheke deliberately encourages the reader to question his many marvel stories. The reader is not supposed to solve this aporia by autopsy or by reading autopsical witness statements, but by relying on the narrator's enargeia in narrating these, and in comparing with other passages in the Bibliotheke itself, which, as universal history, makes other accounts superfluous. In other words, Diodorus encourages his reader to read actively, and to remember episodes from one part of the Bibliotheke as he reads other parts of it. This is an enticing theory, but while I am happy to accept that Diodorus (like Agatharchides, if one follows Maier) offers enargeia as an alternative to autopsy, I find it harder, in the ancient culture of writing and reading on rolls, and in the light of Diodorus' general uneven handling of his material, to believe that he had sufficient control over his material to be able to expect his reader to cross-check marvels between different parts of the work. Overall, the volume is a stimulating and thought-provoking contribution to a lively debate and it deserves to be read widely. E.g. 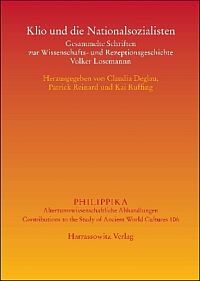 Hans-Joachim Gehrke: Myth, History, and Collective Identity: Uses of the Past in Ancient Greece and Beyond, in: Nino Luraghi (ed. 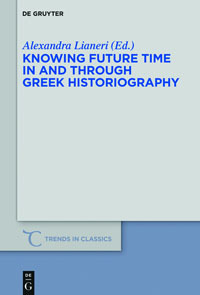 ): The Historian's Craft in the Age of Herodotus, Oxford 2001, 286-313; Lin Foxhall / Hans-Joachim Gehrke / Nino Luraghi (eds. ): Intentional History. Spinning Time in Ancient Greece, Stuttgart 2010; Ian Ruffell / Lisa Irene Hau: Truth and History in the Ancient World. Pluralising the Past, London / New York 2016. 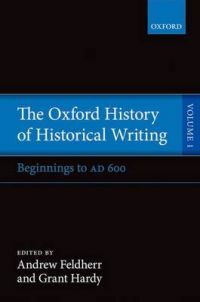 For a previous wave of such studies, using slightly different terms, see Anthony John Woodman: Rhetoric in Classical Historiography, London 1989; John Moles: Truth and Untruth in Herodotus and Thucydides, in: Christopher Gill / Timothy Peter Wiseman (eds. ): Lies and Fiction in the Ancient World, Exeter 1993. Melina Tamiolaki: Lucian on Truth and Lies in Ancient Historiography: the Theory and its Limits, in: Ian Ruffell / Lisa Irene Hau: Truth and History in the Ancient World. Pluralising the Past, London / New York 2016. For a fuller argument to this effect, see Lisa Irene Hau: Pathos with a point: Reflections on "sensationalist" narratives of violence in Hellenistic historiography in the light of 21st-century historiography, in: Jonas Grethlein (ed. ): Experience and Narrative in Greek Literature, Oxford (forthcoming). See also Adriana Zangara: Voir l'histoire. Théories anciennes du récit historique, Paris 2007. The expression τῆς διδασκούσης τὸ πρᾶγμα ἐναργείας is found in F21 in Agatharchides of Cnidus: On the Red Sea, translated from the Greek and edited by Stanley M. Burstein, London 1989 (= Photius codex 250 447a).